Simple and Advanced mode for v2 elements were introduced in the recent update for X 6.1.0 and Cornerstone 3.1.0. This means that you could toggle the options available for elements to have less or the complete options. 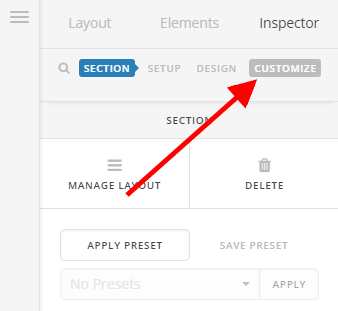 So under the customize group, you can set some settings like the ID field for the section. 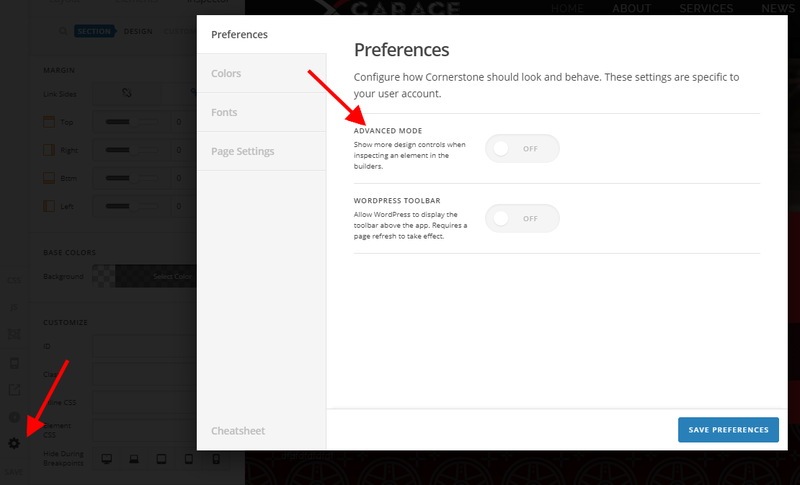 To have the complete options, you will have to click on the cog icon found on the left pane then enable the Advanced Mode under preferences. Once Advanced Mode is enabled, you will have to click on the customize option under the element’s setting to be able to set some of the options like the ID, class, etc.